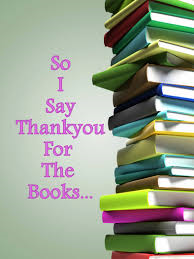 I am declaring today the beginning of “International Thank an Author Year”. To my knowledge, this has not been previously declared, and I believe it is long overdue. And since Earth does not yet have an international government, I believe that I am as qualified as anyone else to declare this event. Think about it for a moment. How many of you have a favorite book? Or an author that you absolutely adore? Have you ever learned an amazing fact by reading a book? Did you find a great recipe in a new cookbook? Has a favorite children’s book allowed you to spend quality time with a child or grandchild? Have you browsed travel books or novels with exotic locals, visiting those places in your mind? What about that special series of books, whose characters feel like your best friends? When life gets a little too crazy, do you escape between the pages for much needed relaxation? If you answered YES to any of these questions, you should THANK AN AUTHOR. 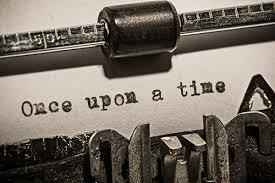 Without the efforts of those writers, you would have missed out on having some wonderful experiences. Just imagine how empty your life would be without books! On second thought—don’t imagine it. It is a horrifying image. 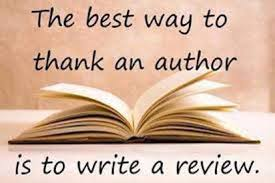 You may be asking, “How do I go about thanking an author?” I have several suggestions, but the most gratifying one for most authors is to WRITE A REVIEW. Just about everyone has an Amazon account, and that is probably the easiest way for anyone to leave a review. Many people also use Goodreads, or other reading-orientated sites. Many libraries also allow reviews on their websites. The advantages of writing a review are many. YOU get to tell the author how much you like the book, and even if there are some things you liked more than others. The AUTHOR gets thanked for all their hard work creating that book for your enjoyment. And POTENTIAL readers can be pointed in the right direction to find their own new favorite book. Does the author have a website? Sign up for their newsletter. Newsletters will keep you informed of upcoming public appearances, new books coming out, and other news about the author. Authors love communicating with their fans. Do they have a blog? Follow the blog, like, comment on, and reblog their posts so that others can get to know your favorite writers. This also lets the writer know that someone is reading what they write, and allows them to learn what topics people are most interested in. Do they have an author page on Facebook? “Like” their page, and invite your friends to like it too. This is a quick and easy way to show the author you are paying attention, and are interested in what they are doing. The same principle applies to Twitter. Spread the word! Is an author appearing at a public venue for a book signing or lecture? Go see them, buy a book, get it autographed, and say “thank you” in person. You will probably be able to have you picture taken with them as well. I challenge you to go forth, fellow readers, and kick off International Thank an Author Year!